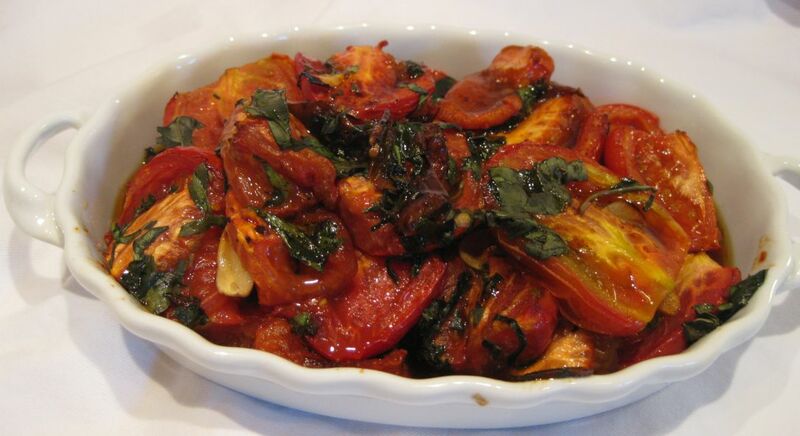 Roasted tomatoes with balsamic vinegar, garlic, and basil is a simple dish but yet it is so tasty. 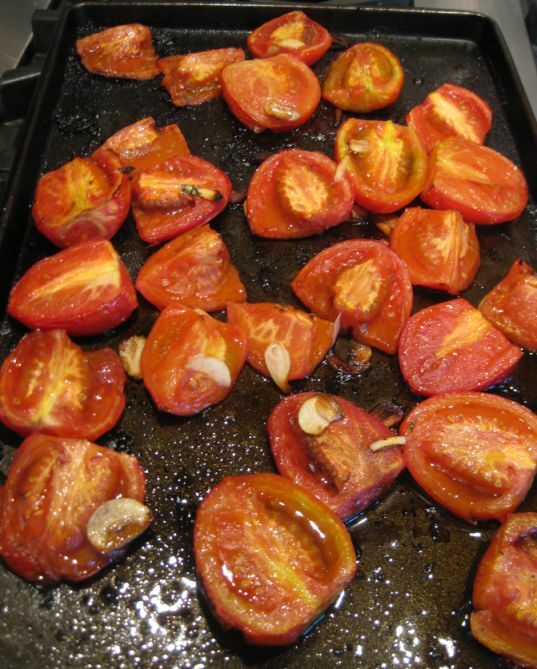 Roasting the tomatoes in high temperature seems to bring out the sweetness and caramelized the outside a bit. Make a large batch and you can serve it as a side dish. 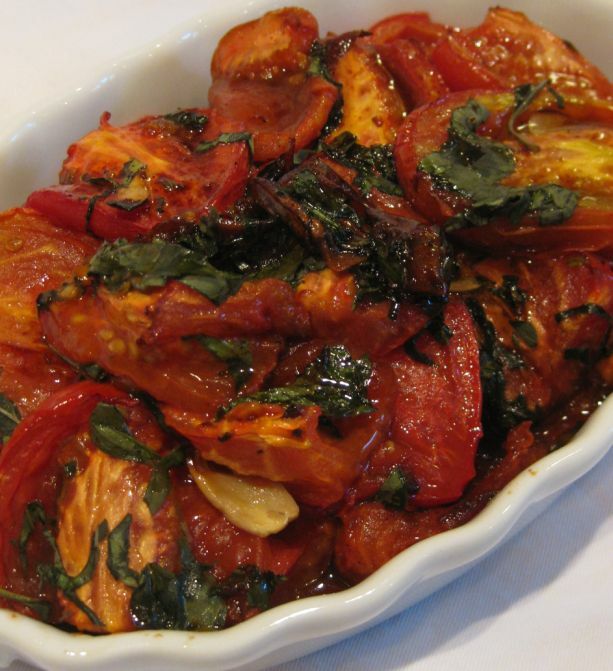 Roasted tomatoes goes well with any type of meat and even fish. 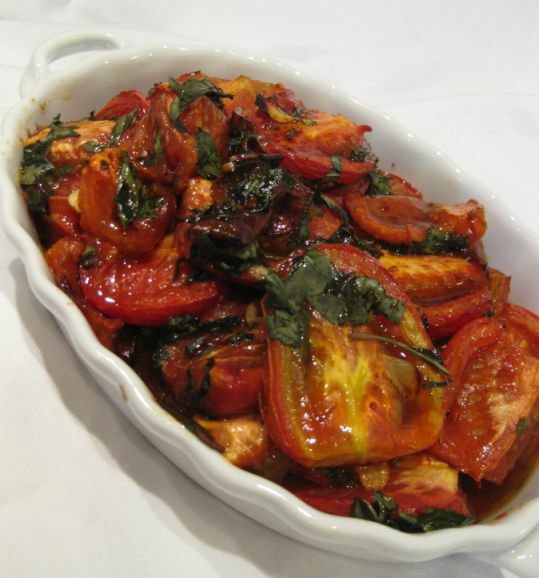 In the winter when tomatoes has no taste, roast them and serve them as a Caprese salad by alternating the roasted tomatoes and sliced of mozzarella. The tomatoes will yield a rich flavor. 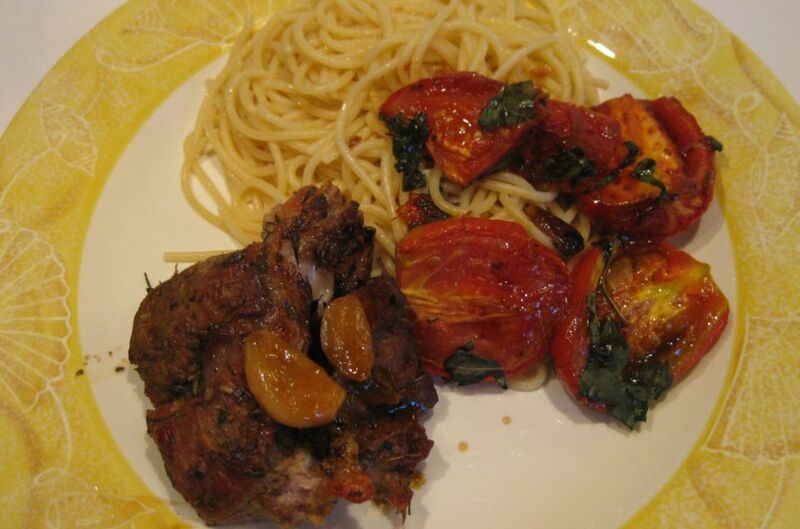 Close look at the roasted tomatoes. 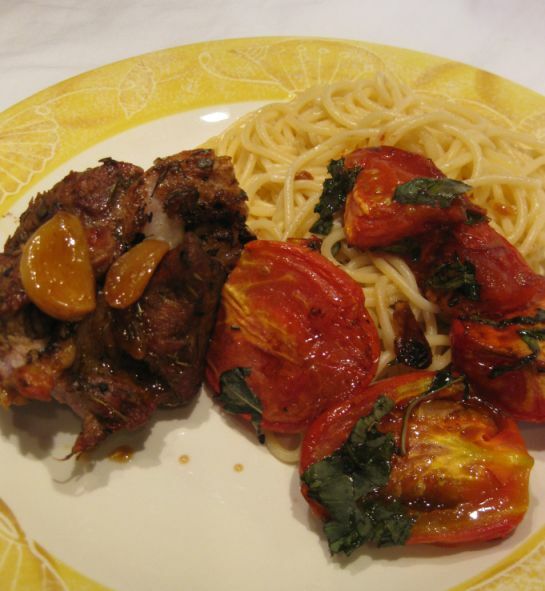 Here I am serving the roasted tomatoes with butter and garlic spaghetti and a roasted pork. 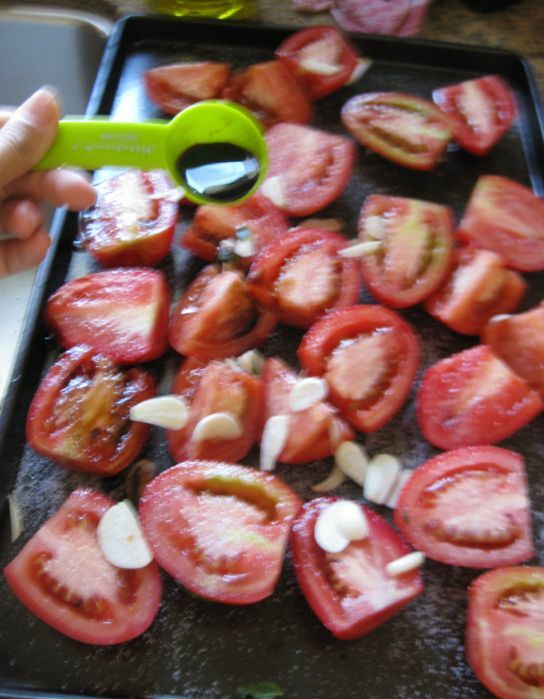 The tomatoes was so sweet and tasted almost like candies! 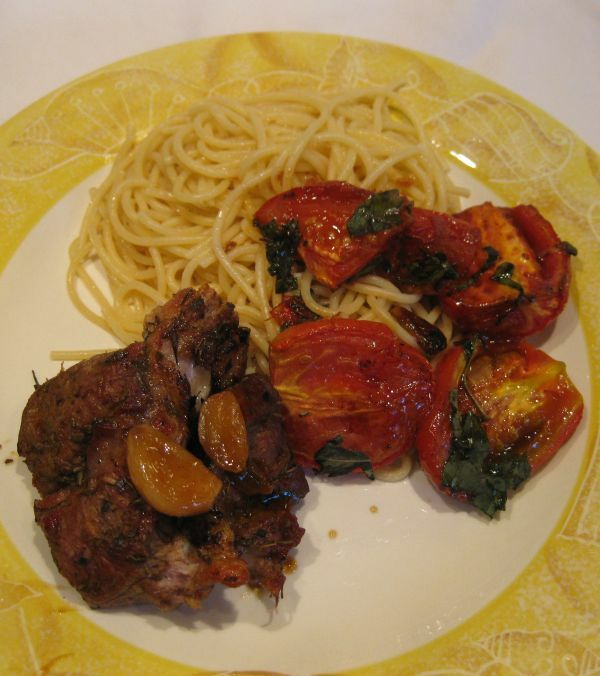 the flavor was fantastic, plus the fresh basil also enhanced the flavor of the tomatoes. 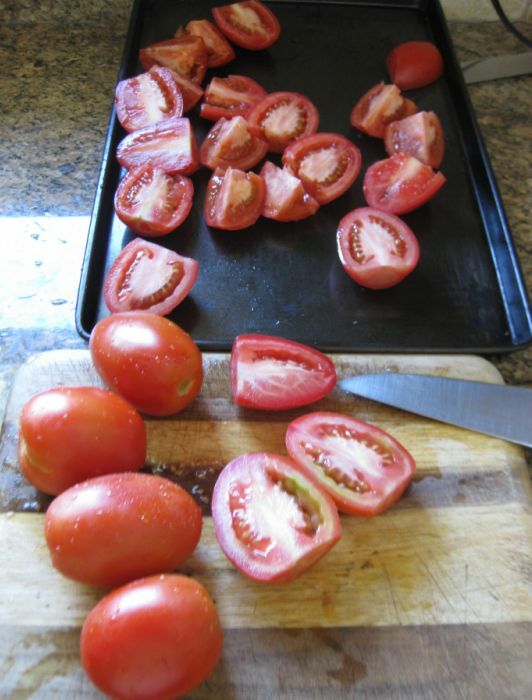 Cut the tomatoes in half and removed the seeds. Do not scoop out the flesh. 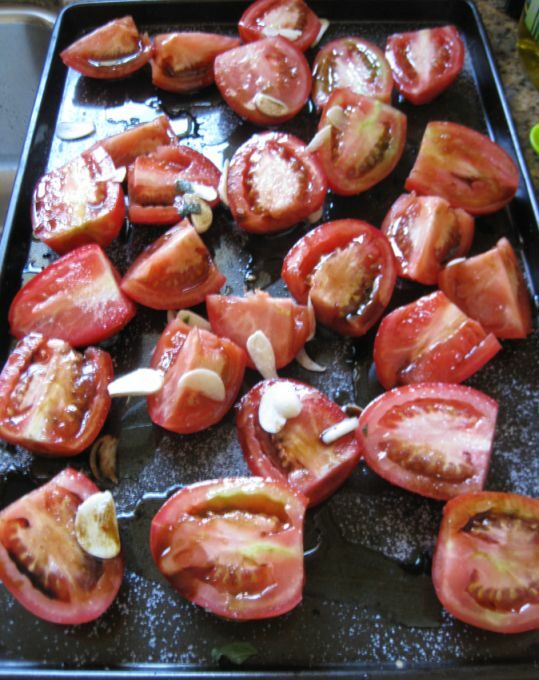 Put the tomatoes on a sheet pan, cut sides up and arrange them in a single layer. 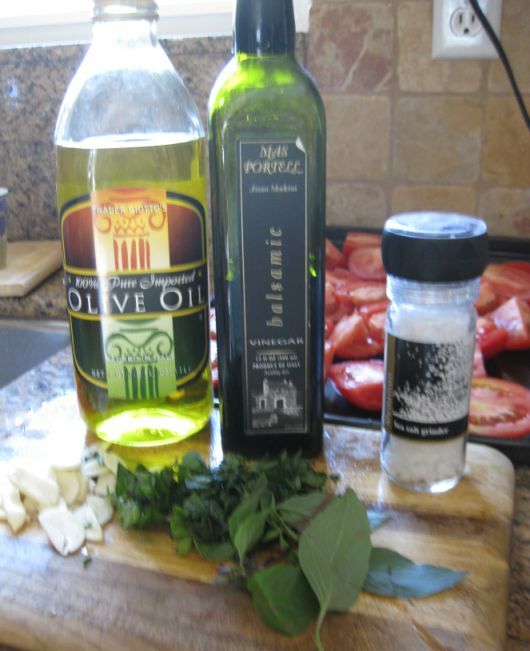 Drizzle with the olive oil, balsamic vinegar, add the garlic, and sprinkle the sugar, salt and pepper. Preheat your oven to 400degree. Put the tray in the pre-heated oven for about 1 hour. 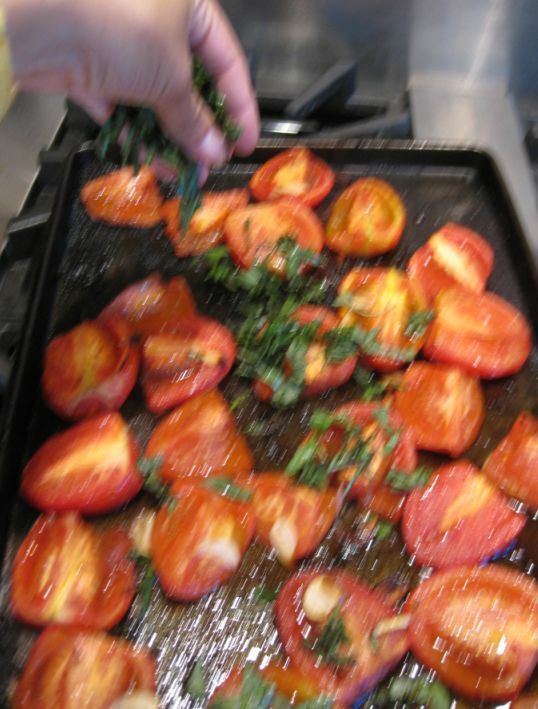 Remove the tray from the oven and let the tomatoes cool down. Add the basil and mix it well together. 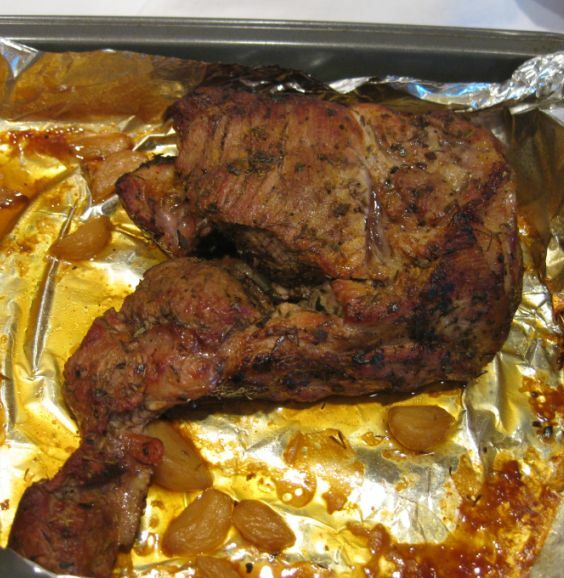 Hoa and Kevin can not eat a meal without meal so I have to make a roasted pork shoulder to eat with the roasted tomatoes.